Our customers at Spiffy wouldn’t be able to have such positive experiences without the performance of our exceptional technicians. This month, we’re happy to shine the spotlight on Brandon Bryant, one of our Los Angeles supervisors. Not only has Brandon been a consistent technician and leader for Spiffy, but he brings an enthusiasm for music to work with him every day. A: My name is Brandon Bryant and I am 31 years old. I have been a supervisor for Spiffy for about a year. I am a very detail oriented person with great customer service skills, and I’m very dedicated to my work. Q: How long have you worked with Spiffy? A: I have worked with Spiffy for 2 years now. Q: What's your favorite thing about your job? A: My favorite part of the job has been interacting with my co-workers and working on dream cars. A: Outside of work I like to play sports, but most of all play music. My passion for music has driven me to create my own DJing business (@dj.bsmooth on social media). Q: What's the coolest car you've ever detailed? A: The coolest car I have detailed is a Lucra. Q: What's your dream car? A: My dream car is a Lucra because there are only a few made. Q: Which do you prefer - Star Wars or Star Trek? A: I prefer Star Wars over Star Trek. A: I would like to add that Spiffy is a great place to work for. We have great job opportunities and plenty of advancement within the company. Thank you, Brandon, for being such a fantastic member of the Spiffy team! Do you or something you know have what it takes? 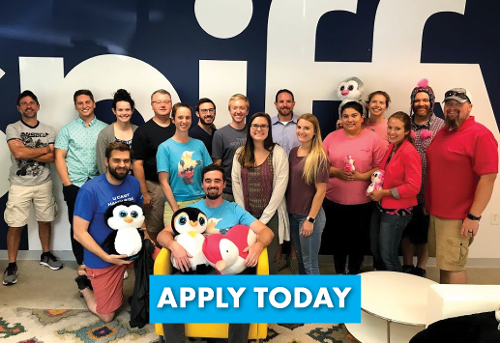 Check out our careers page to learn more about joining the Spiffy family!